I have been incredibly honored to work with The Pat Tillman Foundation for the past four years. 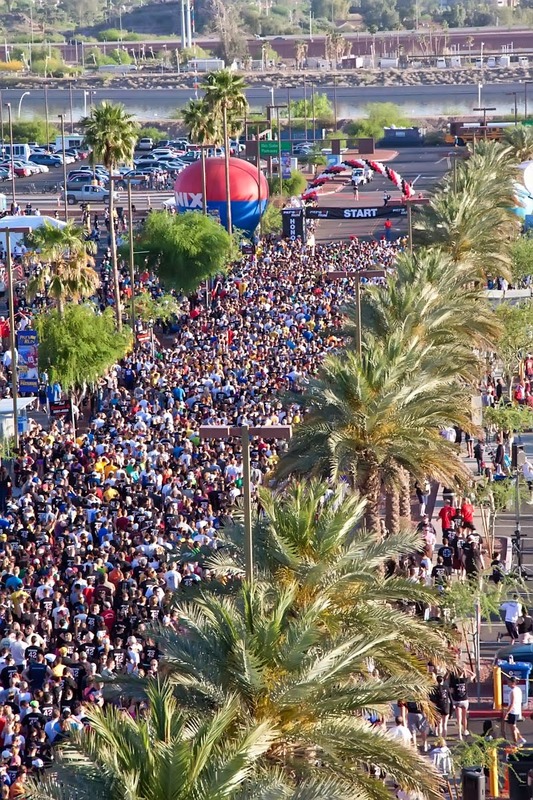 This year marks the 10th anniversary of the race and over 35,000 people are expected to gather in Tempe for Pat’s Run on Saturday, April 26. The 4.2-mile Run/Walk to honor Pat and raise scholarship funds for Tillman Military Scholars will wind through the streets of Tempe, finishing at the 42-yard line of Frank Kush Field, symbolic of the #42 jersey Pat wore as an ASU Sun Devil. In addition, 33 shadow runs will take place in select cities around the United States, on or near April 26. Pat’s story has inspired so many people and his legacy lives on through the Tillman Military Scholars. To date, the Foundation has provided $4.6 million in college scholarships that have put 290 veterans or their spouses through school. To read more about Pat Tillman’s legacy and the work that Marie Tillman is doing through The Foundation check out this article featured in The Arizona Republic on April 20, 2014 www.azcentral.com/story/news/arizona/2014/04/20/marie-tillman-peace-pats-run/7932297/ or visit www.patsrun.com. Hoping to see many familiar faces on Saturday morning!